On September 27, 2018, the Food and Drug Administration (FDA) reduced the maximum allowed daily intake of lead for children from 6 to 3 micrograms per day (µg/day). It has also set a limit for adults of 12.5 µg/day, to protect against possible fetal exposure in women who are unaware they are pregnant and to reduce infant exposure during nursing. The agency now refers to these limits as the “Interim Reference Level” to match the Centers for Disease Control and Prevention’s (CDC) terminology for elevated blood lead levels that warrant action. FDA reports that the new level for children is the amount of lead in food expected to result in a blood lead level of 5 µg/deciliter, with a 10-fold safety factor to account for differences across the population. Recent crises around lead in drinking water have focused national attention on the harmful effects of children’s exposure to lead. While the particular vulnerability of children to lead is well understood by most – what might be surprising is that the majority of child care facilities are not required to test their water for lead. Only 7 states and one city have such regulations on the books. And while the Environmental Protection Agency (EPA) has provided a voluntary guidance, the “3Ts for Reducing Lead in Drinking Water,” for schools and child care, the document has significant gaps in the child care setting – including an outdated action level of 20ppb and little emphasis on identifying and replacing lead service lines. Given the critical need for more investigation in this area, we conducted a pilot project to evaluate new approaches to testing and remediating lead in water at child care facilities. EDF collaborated with local partners to conduct lead in water testing and remediation in 11 child care facilities in Illinois, Michigan, Mississippi, and Ohio. We have previously blogged about some early takeaways from testing hot water heaters and our preliminary findings from the project. Today, we released our final report, which provides the full results of the pilot and recommendations to better protect children moving forward. This week, a team of researchers led by Dr. Bruce Lanphear published an important new study on the deadly impact of lead exposure for adults. The researchers examined data on more than 14,000 adults and found that an increase of 1 to 6.7 micrograms of lead per deciliter of blood (µg/dL) was significantly associated with an increase in mortality of 37% for all-causes, 70% for cardiovascular, and 108% for ischemic heart disease. The findings remained significant even after they considered and accounted for other factors that could have explained this effect. 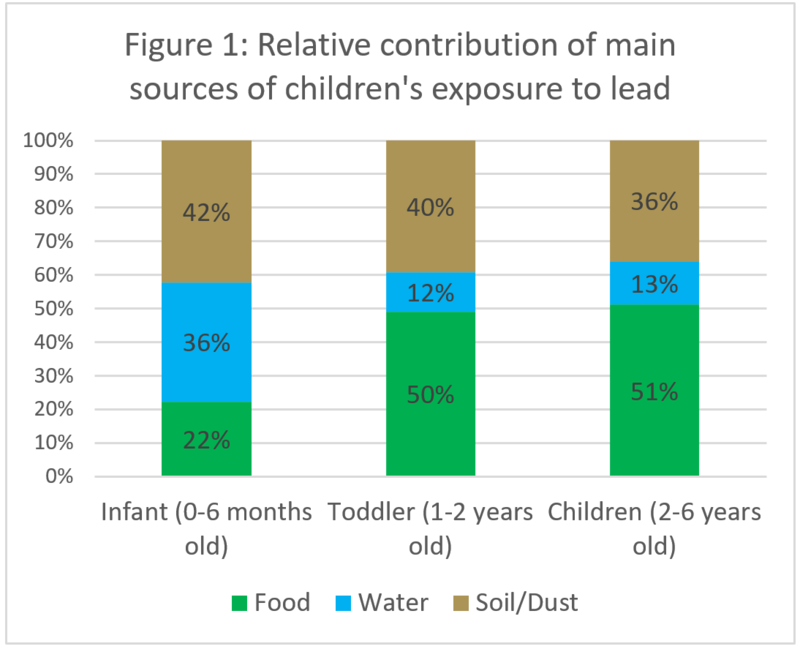 This research fills a gap identified by the National Toxicology Program in 2011 in our understanding of the risk of lead exposure at low levels in adults. And it goes further by providing a quantitative relationship crucial to better evaluating the potential economic benefits of various policy options. The study also had startling estimates about how many people are hurt by lead exposure. The authors estimated that over 400,000 Americans every year die from lead related illnesses – ten times higher than previous assessments. That’s on par with deaths from smoking cigarettes. You may have missed it, but early Saturday morning there was some good news in Washington. After a long delay, Congress finally passed funding to help address the public health disaster in Flint, Michigan. This is good news, but much work remains to be done, in Flint and around the country.